Our local Médiathèque (library) is a hive of literary activity. In addition to the literary festival that takes place every October, there’s a series of author talks throughout the year. On Saturday, we heard Adrian Weale, a former UK army officer turned military historian, talk about his researches into the German SS (Schutzstaffel). His session was particularly interesting because it included insights into a piece of local history: the mutiny by Croatian and Bosnian SS conscripts in Villefranche-de-Rouergue in September 1943. I had heard of this event, but knew relatively little about it. Adrian Weale started by describing the genesis and development of the SS in interwar Germany. Postwar mythology has turned the SS into some kind of elite fighting force, but it wasn’t really like that. Basically, they started as thugs recruited as bodyguards for Nazi party speakers. Himmler developed the SS as a military force alongside the Wehrmacht, with the main criterion that recruits must be able to trace their Aryan roots back to 1750. However, after Hitler’s misbegotten invasion of Russia in 1941 and the resulting haemorrhage of manpower, anyone who could hold a gun was enlisted and the criteria were relaxed. The occupied territories were favourite recruiting grounds. Among them were parts of the occupied Balkans. Thousands of young Croats, many of them Moslems, were rounded up and sent for training before being deployed to active service. A thousand of them were sent to Villefranche-de-Rouergue in preparation for what the Germans feared would be a possible Allied invasion in the south of France. Among them were some of Tito’s partisans, who had infiltrated the ranks of the recruits. Relations between the German officers and the conscripts quickly soured, partly due to the poor treatment of the latter. The Communist partisans took advantage of this. On 17th September 1943, a dozen or so Croats overran the Hôtel Moderne (now a bank), where the German officers were billeted. They were led by four ringleaders, who somewhat unrealistically planned to get down to the south coast and then across to Italy to fight with the Allies. They announced that they were taking over, killed five German officers and effectively “liberated” the town for a few hours. The Mairie in Villefranche. The former Hôtel Moderne is opposite. One German officer escaped and raised the alarm. Villefranche was quickly surrounded by German soldiers from Rodez and other local garrisons and pitched battles took place in the streets. Not all of the troops had taken part in the mutiny, and a division imam persuaded many to remain on the German side, so it quickly fizzled out. The chances of getting out of the town were almost non-existent, but a few of the mutineers managed it, including one of the ringleaders, who then joined the maquis. The rest were killed or captured and then tortured and shot or sent to concentration camps. Sources differ as to the numbers who died. The spot where they were executed on the edge of the town is known as “Le champ des martyrs Croates” (the field of the Croatian martyrs). A memorial now stands there. Happily, the townspeople escaped mass reprisals, although some of them did help the mutineers. Arrests of Villefranchois were made, but the Mayor, Louis Fontanges, managed to get them released, persuading the Germans that they had nothing to do with the mutiny. He was briefly arrested himself. Anxious that this incident might spark off other mutinies, Himmler tried to suppress it. However, Radio London got to know and broadcast the news a few weeks later. According to my researches, a similar mutiny took place in 1944 in Rodez by Soviet soldiers who had been forcibly conscripted. Some people claim that Villefranche was the first occupied French town to be liberated, albeit fleetingly. Actually, unless you only count the French mainland, that isn’t accurate. It was Ajaccio in Corsica, on 9th September 1943, after which the rest of the island was liberated. Corsica is French and was occupied by Italian forces and then by German troops as well towards the end of the occupation. This entry was posted in History, World War I & II and tagged Communist partisans, Croat mutiny, Croat revolt, Louis Fontanges, Occupied France, SS, SW France, Villefranche de Rouergue, World War II. Bookmark the permalink. We’re walking through Southern France at present and came across your article. It has really stimulated a lot of interest with us and we so enjoy the information. It and other articles on the history of the area add a whole new dimension to our walk. Keep up the good work! Hello and thank you for commenting. I’m rather sorry that on your first visit to the blog you came upon the unfortunate exchange of comments that this post occasioned. I have left them, because I am not a believer in censorship, although I have to be honest and say that it pains me that it happened. I hope you are enjoying your walk and that the weather will smile on you. I’m glad to be of some help in providing information about the area. I am sorry to see how much anger this post has generated albiet from one person. I always appreciate the research you have undertaken and the increased knowledge you put before readers of your blog. I was born the year after the war ended but my mother talked of it constantly when I was growing up. She had been thirteen when it started and married as it finished. I can never understand her experience of it but that didn’t stop my interest in her memories. I have experienced the anger here myself felt by an older person who asked me if I understood the ‘stele’ I was looking at. When I mentioned an elderly (french) neighbour had talked to me about it the gentleman burst into an angry flood of accusations about said neighbour. However it hasn’t stopped my wanting to learn more about the recent history of where I have chosen to live, just to be aware that feelings run very deep for some people. Thank you for this piece. I had no idea about Balkan conscripts stationed in France. Thank you for your comment and for your words about the blog. I, too, am sorry for the anger that this post has generated. Like you, I try to understand the place where I have chosen to live and try to be sensitive about the feelings that still run deep about some parts of its history. I hope I will never know how it is to live in an occupied country first hand. I always appreciate your interesting comments and the information you share. Vanessa, your latest post seems to have stirred up a reaction and in my humble opinion quite unjustified. I am very fortunate that I didn’t live through the horrors of World War 2 but I don’t think it unreasonable to have an interest or an opinion on the subject. I appreciate it is perhaps a rather naive notion but it is important to remember those that suffered and died and visiting those locations where often dreadful events occurred has certainly given me a greater sense of understanding and knowledge.A personal plea from me is to please continue writing your informative and interesting articles on these and related subjects. The person who claims that you do not have an appreciation of France or the French way of life is so far wide of the mark,they could not have read many (if any) of your previous articles.Also surely the one thing we can agree upon is that so many people died then ,in ensuring that we are fortunate to have a choice in what we read and comment on now ,without fear of retribution.Keep up the good work Vanessa. Thank you, Stuart. I appreciate your comments more than you can know. I may have mentioned this previously to you so humble apologies if I am repeating myself.Are you aware of the resistance memorial of Maquis de Cabertat Vaissac Negrepelisse? I visited the site a couple of years ago where the Maquis based there were ambushed by the Nazis. As well as an impressive memorial, there is what remains of a burnt out car and a wealth of information on the display boards. I lost my photographs after an impromptu swim in my local fishing lake and resulting damage to mobile phone! May be some distance from where you live but well worth a visit if you are passing that way. Hello Stuart, I don’t think you have mentioned it, or if you did, I have forgotten. In which case humble apologies from me. What a shame you lost your photos! I will have to make a visit there and take some for you. hopefully I may get the chance to visit again as I’ m staying in Montcuq later this summer. Visiting Mayenne department in a few weeks time and there is a particular good small museum in the town of Mayenne,also looking forward to visiting the one in Cahors in the summer. Found some extremely good websites documenting memorial sites and details of various resistant groups active in France,unfortunately my poor French let’s me down. Hope you are keeping well and enjoying the beautiful weather- richly deserved I think after the long harsh winter we have endured. Apologies for the slow response. The garden has been calling rather insistently for the past few days! The weather is absolutely glorious and we are taking full advantage of it in the knowledge that it will probably change. Do get in touch when you come this way in the summer. Cahors is only 45 minutes away. It’s now some years since we visited the Resistance Museum there and someone else has indicated that it might be closed for refurbishment just now, so it might be a good idea to check before going that it’s open. Good luck with all your researches, I look forward to hearing more about them. It is an eternal debate as to whether one should look at the past or let sleeping dogs lie. And one that will continue no doubt to arouse heated debate. We are certainly fortunate not knowing first hand what it was like and it’s a tragedy that there are still so many people who do. I agree, I do not have to read a post–the last few weeks I deleted few without looking at the title. There is another issue regarding the blog–on the average, every third post or so, there is a warning stating that the mail is not safe and do I want to open the content or not. Is it the idiosyncrasy of e mail or the internet? maybe? It raises question in my mind. True, humankind is not very good at learning from history. There is a war, now , in Syria. It is a war that is alive on prime time. It is a NOW reminder. Your retelling of this story is excellent, as ever. I, it will come as no surprise, had not heard of this incident and I am grateful to have it placed in front of me. Lest we forget. Such important words, those are – one might venture the MOST important. Thank you. Countries are defined by their history and it is in studying it that one tries to get a closer view of contemporary culture and society. You would get on so well with my mother. She is 85 and continually says ‘why haven’t they read their history books’ when presented with some or other contemporary problem in the news. She was a child in the war – she remembers the Doctor flagging my Grandmother down to tell her that my Uncle had been killed in the desert aged 21. Years later, she visited Syria and Lebanon with her oldest friend. She said she stood looking out across endless sand and said to herself – ‘my brother is there somewhere but I will never know where’. When the present crisis started in Syria she wept. If we are ever to learn, we must understand the lessons contained in history and if we are to understand a place then we must reach back to get an accurate picture of how things have developed over centuries. My mother was rather similar by the sound of it! What a sad story about your Uncle, especially that your mother never knew where he was buried (if indeed he was). I do believe we have to try to learn from history, however painful it might be sometimes. I respect people who don’t want to relive their past, as well. Vanessa, not a problem and I will certainly leave another message. The conversation has certainly been enlightening ☺ Thanks for the email. are we not reminded of wars and conflicts every day? Ha, but we need to know of little known incident –to add a little flair–du sucre de poudre et la cerise sur le gateau. why bring up world War II? Where were you during WW II? How old were you in WW II ?is it a surprise to you to find out that the SS men were not choir boys? Don’t you think that during the heat of battle or after a combat , to seek revenge, the Canadian, British, French , Belgium were not capable to act like thugs. it was a war and atrocities were committed on both sides and innocents paid the price on both side. You may enjoy reading post about France but you do not know much about France, especially the France of WW II because you have not lived in France during that time. I was born in France and I lived there through the war. The was of OVER. May they all rest in peace. And there is no need to stir up the merde from both side. Take a job house sitting in Syria and get a taste of what war is like. I am confused as to whether you are replying to me, who actually wrote the post, or to Suzanne who left a comment. Should we ignore all history because we didn’t actually live during certain periods? Since you lived through WWII in France, I can understand your desire not to relive it, but I think you have to accept that people who were born later will have an interest in it and in trying to understand it. I have to say I find your remark at the end of your comment gratuitous and unnecessary. I have always tried to encourage polite and respectful debate on this blog and I would like to keep it that way. It is not necessary to resort to aggression to get your point across. I do not consider my last remark aggression–it was a suggestion. I have a great deal of respect and affection for France and French culture. That is why I am here and why I like to share aspects of France that interest me and that I hope will interest my readers. I’m sorry if this does not appear to come over in my writing. May I respectfully suggest that you may not wish to continue reading my posts. As always an interesting insight into the history of France! Enjoyable read! How you have described the survival of people and a village. How they managed during the war years. Especially information on the SS men as been thugs, I would have thought they were far more specialised to do Hilters work! 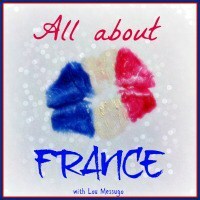 I enjoy reading posts about France and especially on areas I have knowledge on. Does that answer your question? It’s not a question of remuer la merde, as you put it, Monique. It’s a question of making sure that we don’t forget. Unfortunately, humankind is not very good at learning from history, but that doesn’t mean we shouldn’t try. With all due respect, you don’t need to read a post like this if you don’t like it. Your “insight” is an illusion. You are not French–you will never know nor understand the French.